As outlined in Deborah’s biography, she has engaged in work on adoption and bereavement for many years. 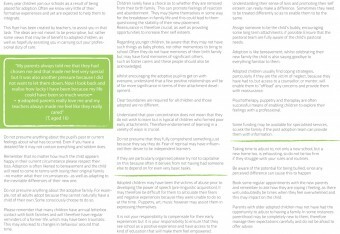 This leaflet was created to assist teachers and those who have adopted children, so as to develop further strategies when addressing the needs of adopted children within school. 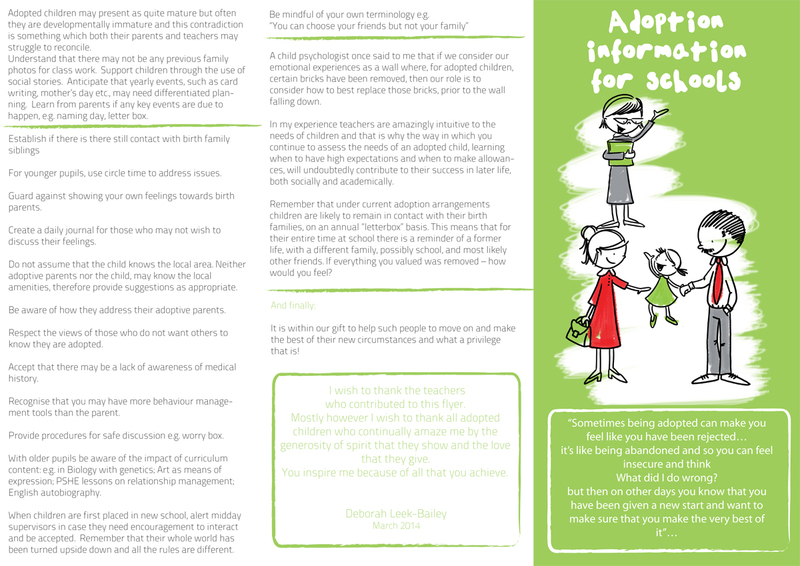 She hopes it will be of benefit and wishes to thank Ian Gilbert of the Independent Thinking Company and Paola and Mark Pinkney, for their contribution, along with all the teachers and children who assisted with this flyer.